Do not rush throwing away egg cartons, look how many interesting things can be made from them! A bit of imagination and paints, and you’ll get 5 charming bugs. 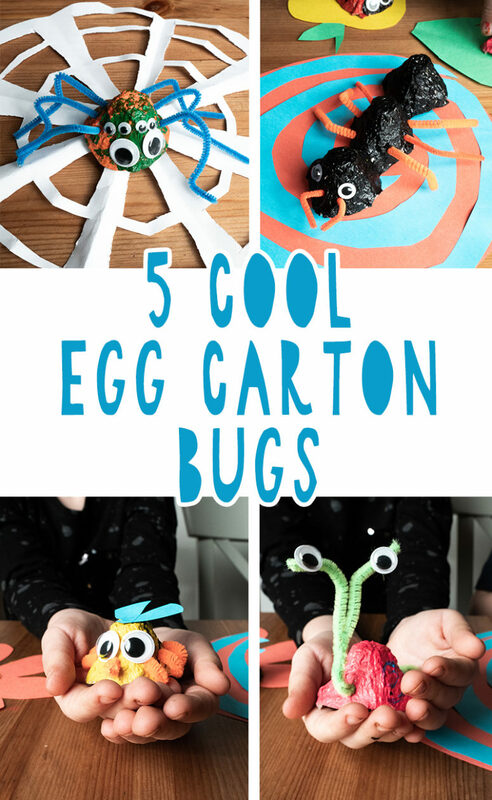 Cut the carton, attach the legs, horns and you’ll get a cute bee, a pretty ladybug, a snail, a spider and even an ant, all made from a usual egg carton. And while crafting them, you can discuss small insects, how they differ, what similarities they have, where they live and what they eat. Develop your imagination and give a second life to the already unnecessary packages and boxes. 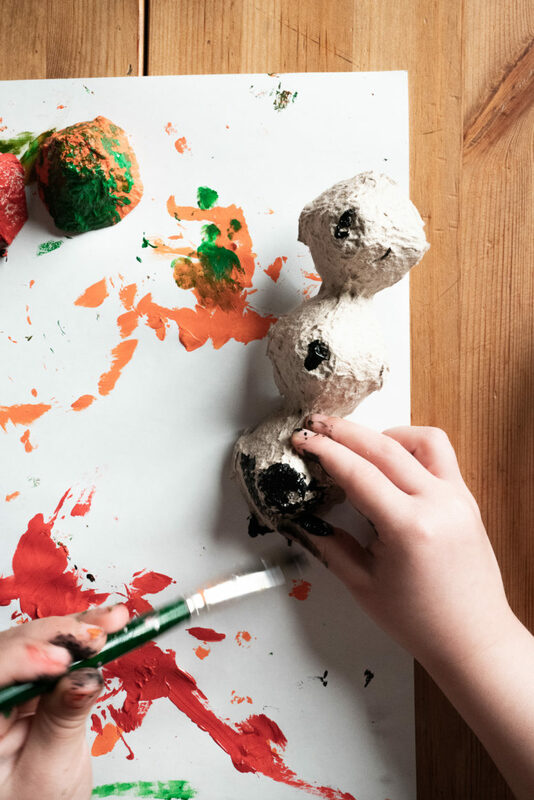 The supplies are colored paper, a puncher, an awl, paint brushes, a glue stick, googly eyes, an egg carton, some colorful pipe cleaners and acrylic paints. 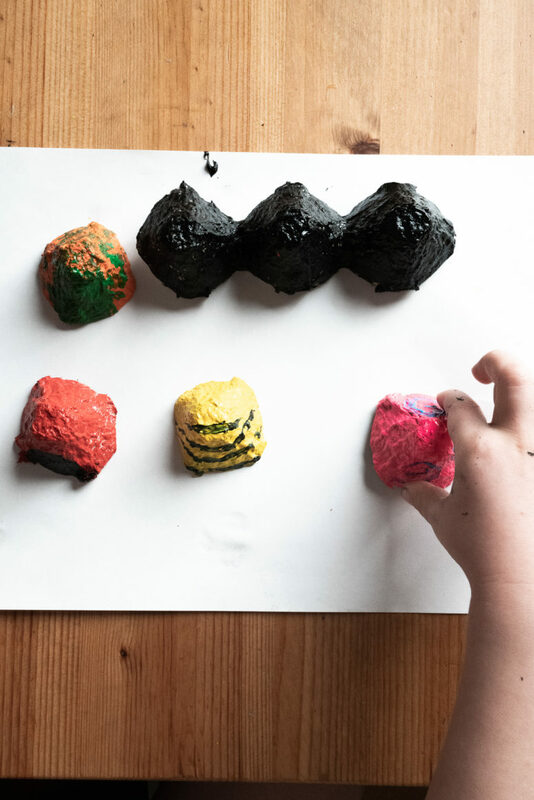 Take 3 separate egg carton fragments and a stripe of 4 fragments, pour some paints into a plastic plate. Paint one piece orange, another one yellow, the next with pink paint, the fourth fragment with red paint and the long stripe with black paint. Take the orange piece, cover its side with green paint and add green dots on the other sides. Decorate the red piece in the same way using black paint. 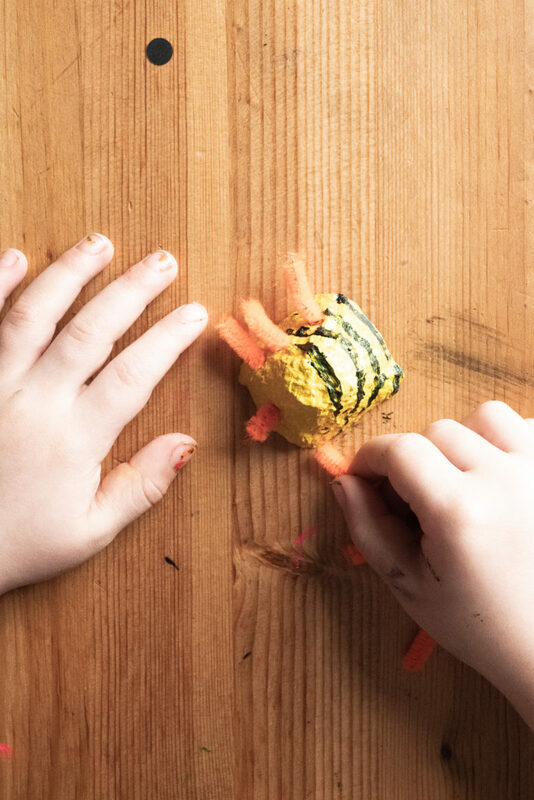 Paint black stripes on the yellow piece; paint yellow curls on the blue piece. 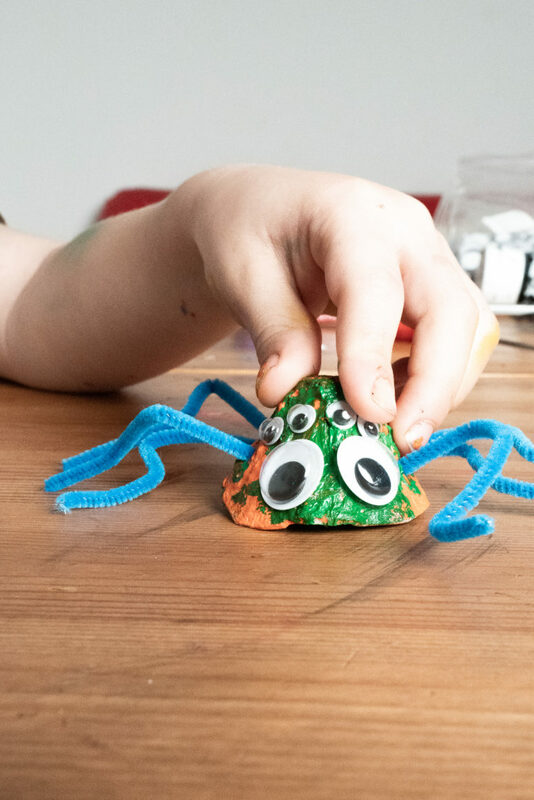 Take 6 googly eyes – 2 large ones and 4 smaller ones to decorate the orange bug. 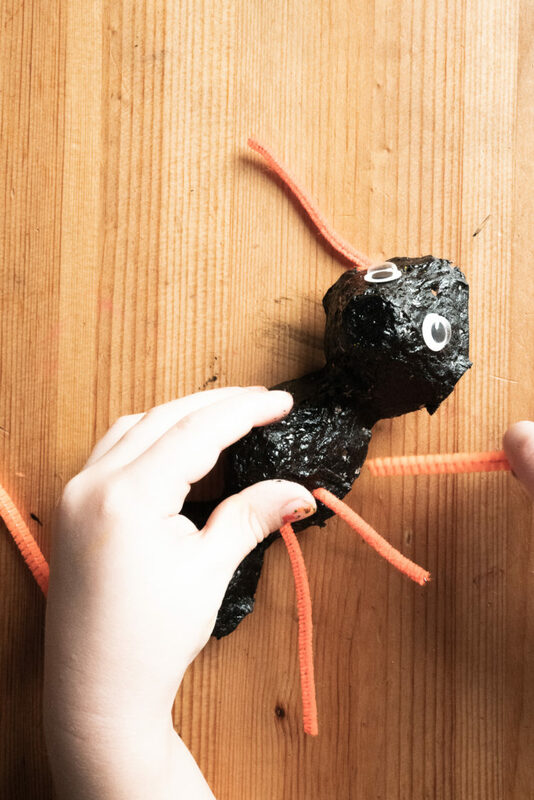 Make 8 holes in the bug using an awl and then put blue pipe cleaners inside them to imitate legs. 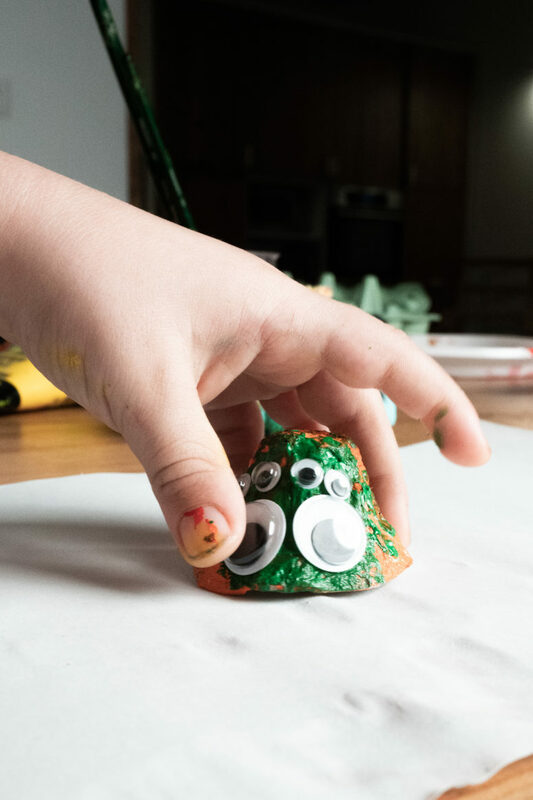 Decorate the snail piece with two green pipe cleaners and googly eyes placed on them – make two holes on the opposite sides of the snail and put the pipe cleaner through it to get eyes and a tail on the back. 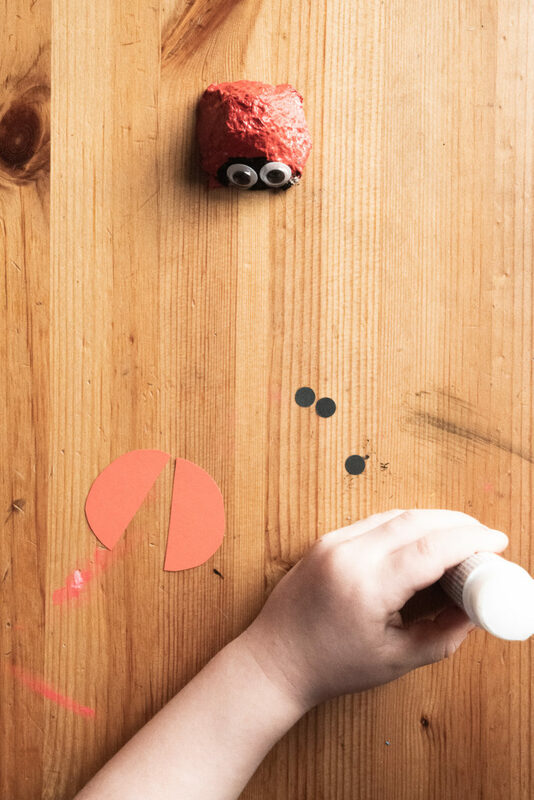 Attach two googly eyes to the red bug, then add a pair of red wings with black dots on top. 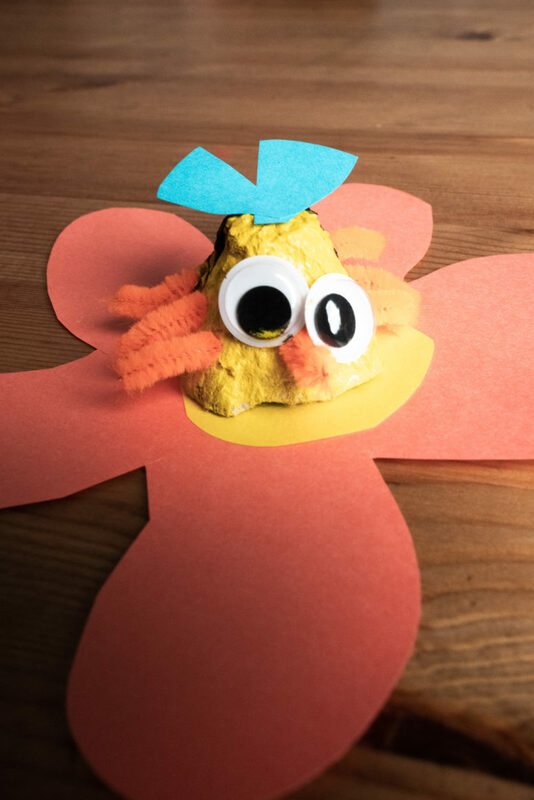 The yellow bug will receive two googly eyes and two blue wings on top. 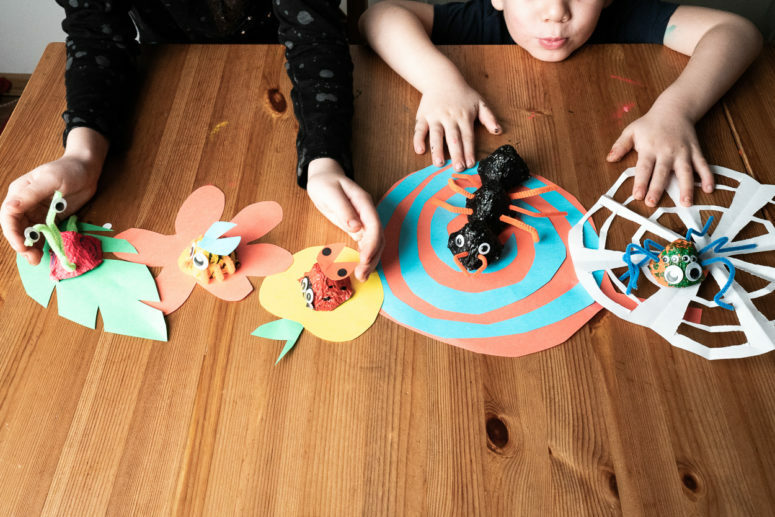 Make holes for 6 legs and two holes for horns on the front and put some colorful pipe cleaners into them. Draw a mouth with a sharpie and put the bug on a flower. 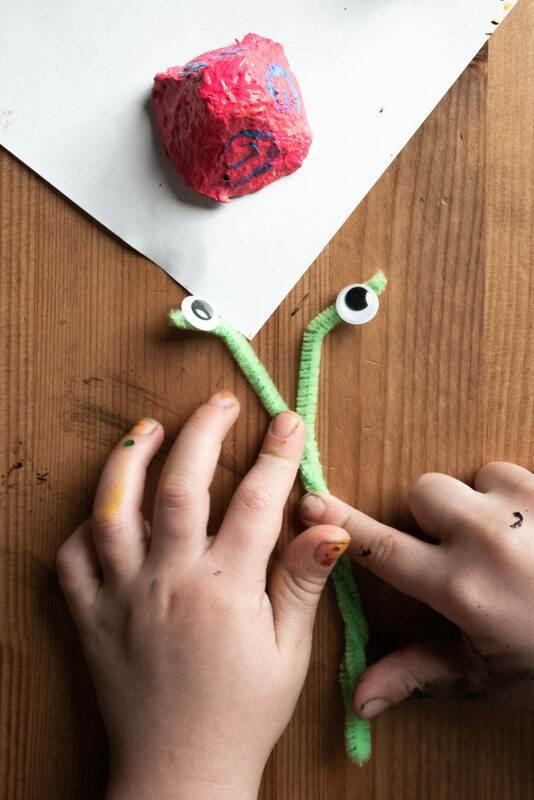 Add two googly eyes to the black stripe, make holes for 6 legs and two horns on the front and insert colorful pipe cleaners.